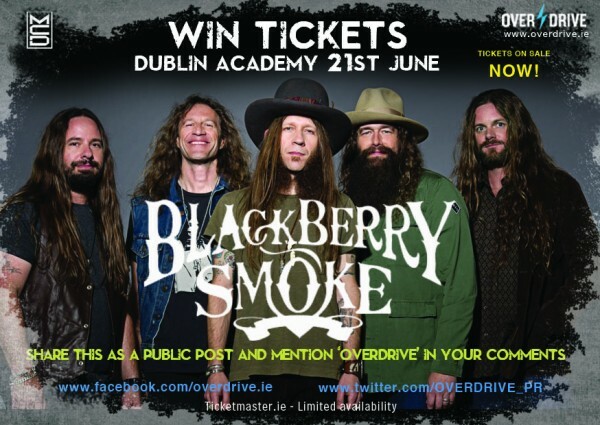 WIN TICKETS – BLACKBERRY SMOKE, DUBLIN ACADEMY JUNE 21st. 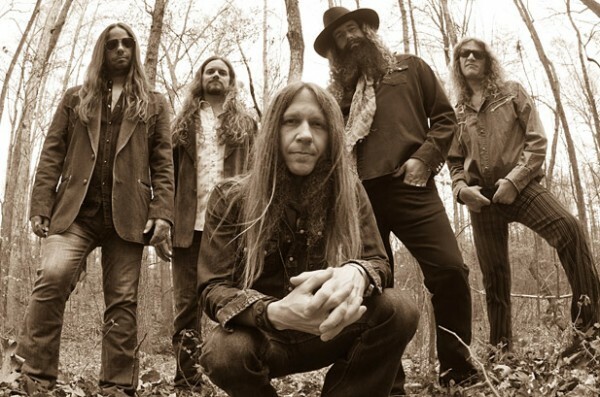 BLACKBERRY SMOKE announce an Irish date at The Academy Dublin on the 21st of June as part of their international ‘Holding All The Roses’ tour and OVERDRIVE are giving away a pair of tickets for the show! Find out how to enter below! “I think that this record does a really good job of conveying what we do and what we’re about,” Blackberry Smoke singer-guitarist-songwriter Charlie Starr says of Holding All the Roses, the band’s fourth studio album and its first Rounder release. Indeed, Holding All the Roses compellingly captures the energy, attitude and honesty that have already helped to make Blackberry Smoke one of America’s hottest live rock ‘n’ roll outfits, as well as a grass-roots phenomenon with a large and fiercely loyal fan base that reflects the band’s tireless touring regimen and staunch blue-collar work ethic. The 12-song set—produced by Brendan O’Brien, whose previous production clients have included AC/DC, Aerosmith, Pearl Jam, Bruce Springsteen and Neil Young—showcases the Atlanta-based quintet’s emotion-charged mix of bluesy rock, gospel soul, and country, with Starr’s raspy twang matched by his and Paul Jackson’s snarling guitars, Brandon Still’s hauntingly expressive organ and piano, and the propulsive sibling rhythm section of Richard and Brit Turner. The songs’ musical and emotional appeal is further elevated by the band’s three-part vocal harmonies and expanded arrangements that make judicious use of fiddle and added percussion. 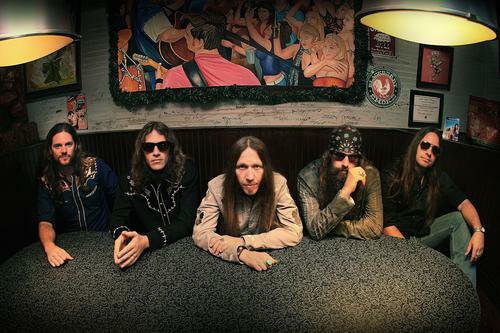 Blackberry Smoke – heading your way soon! The five musicians’ instinctive musical rapport manifests itself equally strongly on such surging rockers as “Let Me Help You (Find the Door),” “Living in the Song” and “Wish In One Hand,” and on such intimate, introspective tunes as “Woman in the Moon,” “Too High” and the stirring, acoustic-textured “No Way Back to Eden.” The album’s musical and emotional depth demonstrates how Blackberry Smoke continues to extend and expand the Southern rock tradition. The musical maturity that’s on display throughout Holding All the Roses underlines Blackberry Smoke’s steady evolution from rough-edged club act to arena-ready rock ‘n’ roll juggernaut. Since its formation in 2000, the band has never shied away from hard work, playing more than 250 shows a year and building an ever-expanding audience on the strength of its live shows, and with a noticeable lack of mainstream hype. Along the way, Blackberry Smoke has found time to record a handful of independent releases, including the albums Bad Luck Ain’t No Crime, Little Piece of Dixie, and The Whippoorwill (the latter on country megastar Zac Brown’s Southern Ground label), plus a pair of EPs, the concert DVD Live at the Georgia Theatre, and the live CD/DVD set Leave A Scar. Although those releases found favour with fans and were received warmly by critics, the band members feel that Holding All the Roses marks the first time that Blackberry Smoke has had the time and resources to make an album that properly captures their musical essence. To win tickets to Blackberry Smoke in Dublin’s Academy on June 21st, simply click on the graphic below and follow the link to our Facebook page, which you must like / follow and with the instructions below! Tickets for Blackberry Smoke are on sale now, from Ticketmaster and Sound Cellar priced at €20.00 (inc booking fee). For more information, please check out MCD.ie.